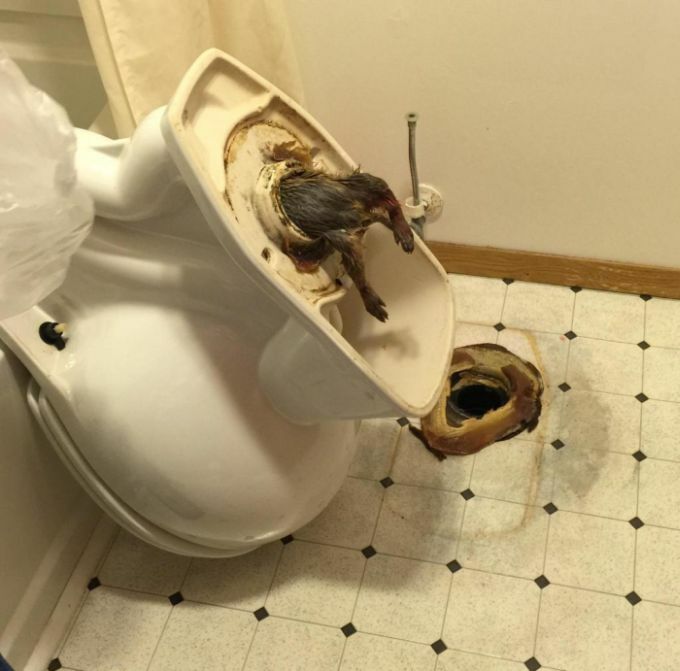 What would you do if you found a rat in your toilet? Pack this sh*t into a plastic bag to suffocate if still alive, and throw away, of course. Maybe it didn't climb UP, maybe someone shat it out?